Looking for help with Pool Maintenance? Here are a few pointers. 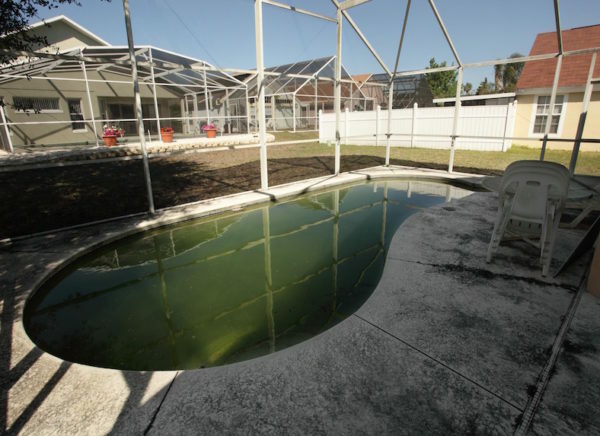 The most common problem found in residential pools is algae growth. Algae are small non-flowering plants that are transferred into your pool by wind, rain, and even the water used for filling. They come in red, black, and mustard varieties. Algae are easily detectable because they can cloud the water, giving it a hazy appearance. If they go unchecked for too long, the growths may become visible en masse on the pool’s bottom. You can easily rid yourself of algae by vacuuming regularly. Remember, soil from dirty feet may carry these organisms that are not visible to the naked eye. Also, as a first line defense, maintain your chlorine levels. Chlorine is added to pools specifically to control the growth of algae. And, keep an eye on pH levels. Chlorine does not work as effectively in alkaline water. Unattractive stains can be caused by metallic material adhering to the sides and bottom of your pool. This is because acidic rainwater can cause runoff from brick, marble, and stone decks to drip into the pool and contaminate it. 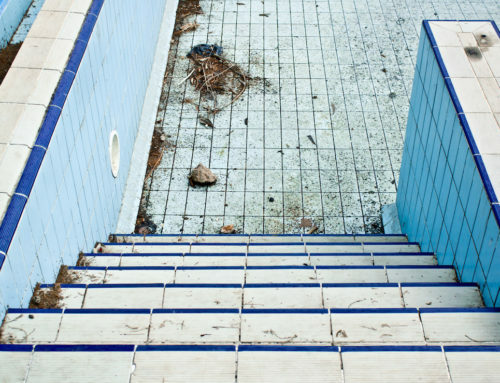 Pool chemicals and deteriorating equipment only add to the problem. However, the stains are far from permanent and can be easily removed with a coarse cleanser and a gentle sponge. Yet, to prevent them from reoccurring, simply focus on your pool’s chemistry. 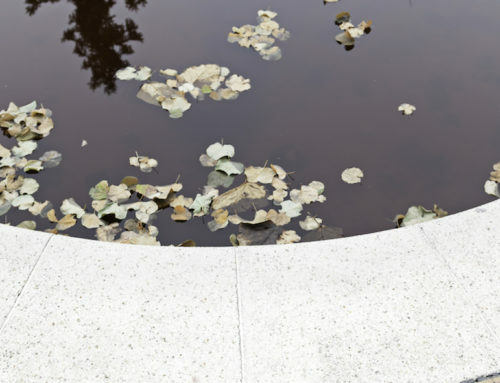 The acidity of pure H2O, by its natural chemical makeup, will corrode metal components of plaster pools and eat away at vinyl liners. That is why it is so important to add hardeners such as calcium to increase the alkalinity of your fill water. If you need any further assistance with your pool maintenance needs, be sure to give Prime Pool Care a call. We can help you with all your pool service needs, including pool cleaning and pool repairs. We also offer spa service, spa maintenance, and spa repairs. Be sure to ask us about our spa care and spa cleaning tips. After all, we pride ourselves on being you go-to pool company and spa company!